Supreme Court rejects petition against using chickens in kapparot. Israel's Supreme Court rejected outright a petition filed last week against the practice of using poultry for kapparot. Kapparot, a ritual performed prior to Yom Kippur (the Day of Atonement), can be performed with a chicken, fish, or money. 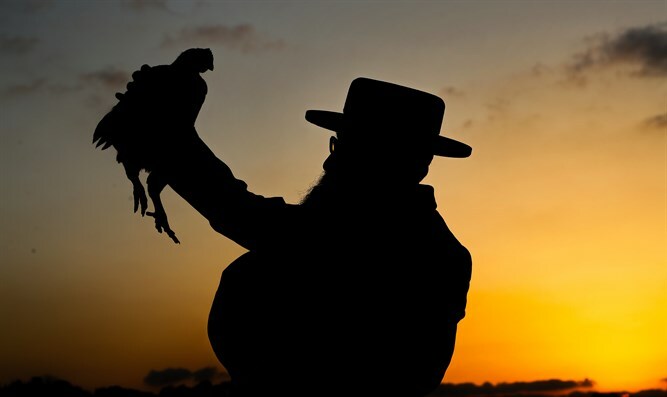 The petition, filed by former Interior Minister Avraham Poraz, requested that the Supreme Court order Agriculture Minister Uri Ariel (Jewish Home) and Israel Police to act against and prosecute those performing the kapparot ritual with a chicken. However, the Supreme Court rejected the petition, in part because it was submitted four business days prior to Yom Kippur. Earlier this month, the Agriculture Ministry began a campaign to discourage the use of chickens during kapparot.